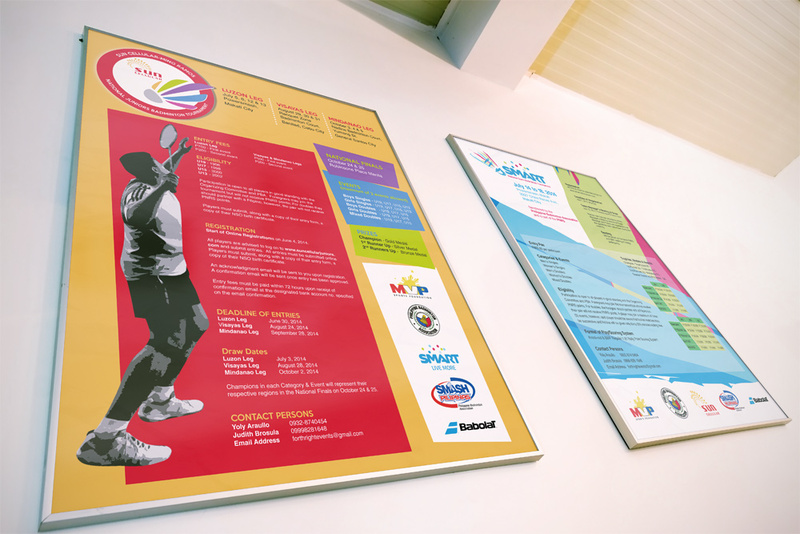 Logo and poster design for a badminton tournament sponsored by Sun Cellular, one of the largest mobile telcos in the Philippines. The logo was incorporated in various promotional material including the stage backdrop. A variation of the logo was also used in the 2015 events.